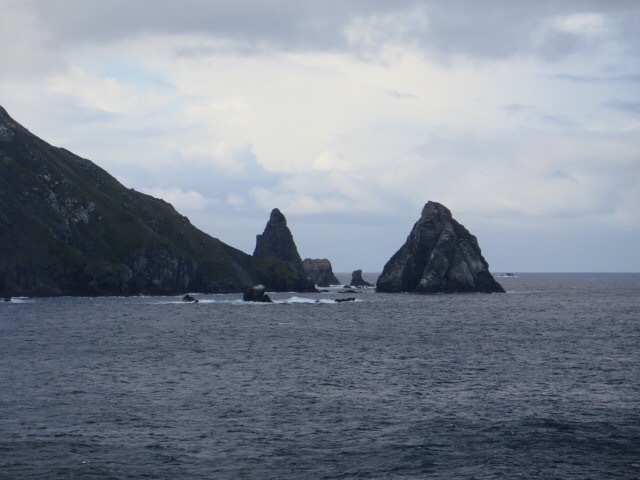 Cape Horn and the Ferocious Fifties | So Many Exciting and Beautiful Places! ← Watch Your Heads, Guys! 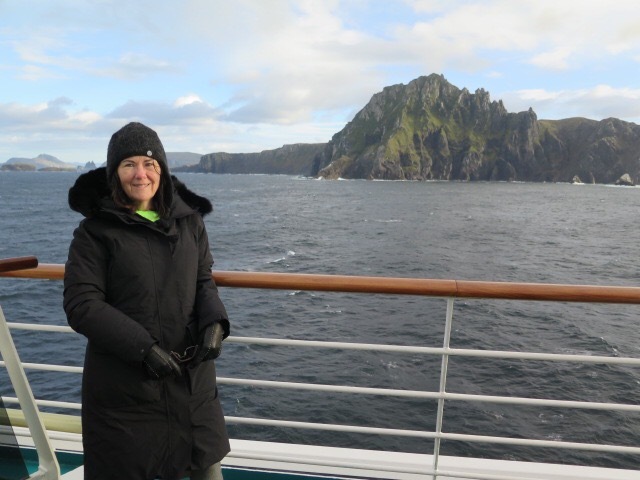 We got up early today to witness the rounding of Cape Horn. The cape was named for the town of Hoorn in the Netherlands, where Captain Willem Corneliszoon Schouten. 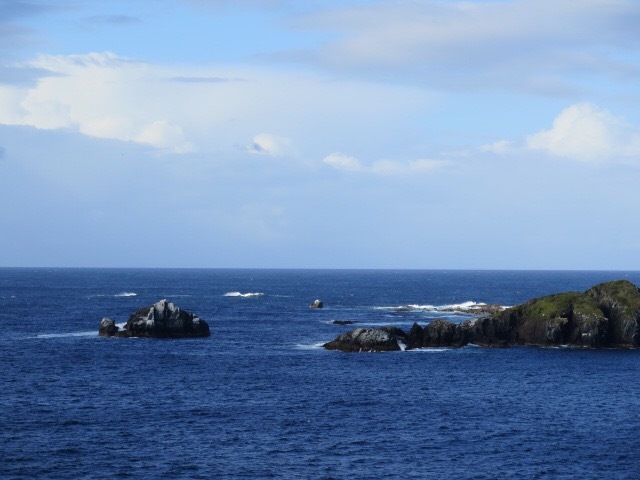 Schouten was looking for an alternate passage to the Strait of Magellan. 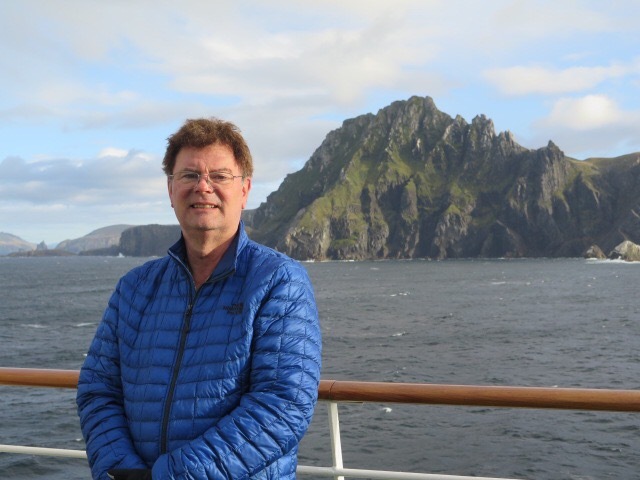 The captain discovered a high pointed promontory that he mistakenly thought was the southernmost end of the South American continent. Instead, it is a small island. 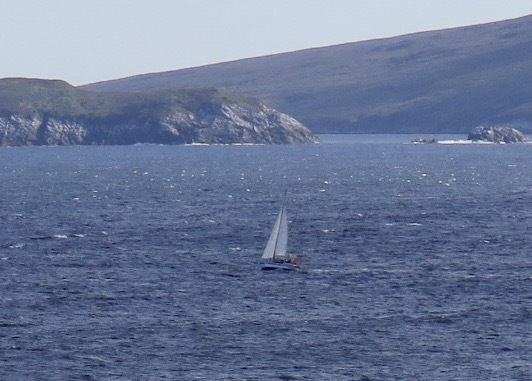 Although the waterway here is much wider than that of the Strait, the wind can be ferocious, and many ships have failed in navigating around the Cape. Perhaps the best known navigator to fail was by William Bligh, later captain of the HMS Bounty. The wind was very strong, yet we were told that it was actually pretty calm for the Cape, where gale force winds can create waves of up to 65 feet. 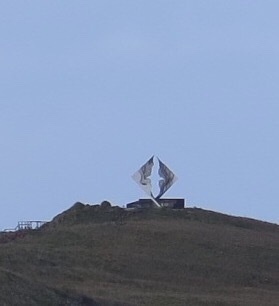 This area, near the 50th parallel, is know as the Ferocious Fifties. When we were heading south, I thought we would be blown off the deck. It was very difficult to remain upright, and most people only ventured out for a minute or two – just long enough to get a photo – then scurrying back to the warmth inside. Once again, I was so happy that I had my down parka with me. 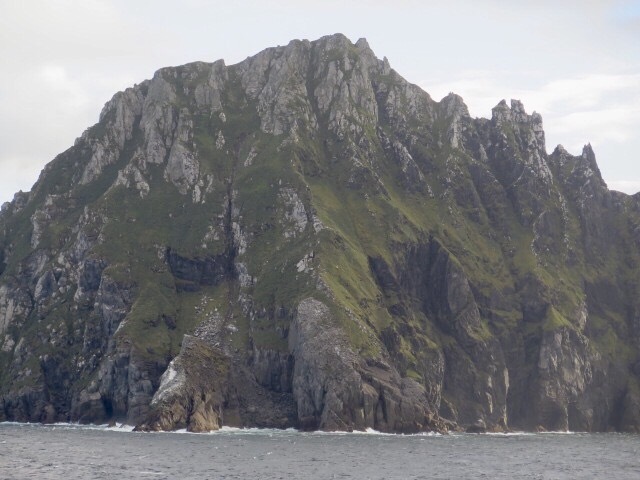 There are several islands, many of which are craggy and others, clearly older, that looked like they had grass growing on them. 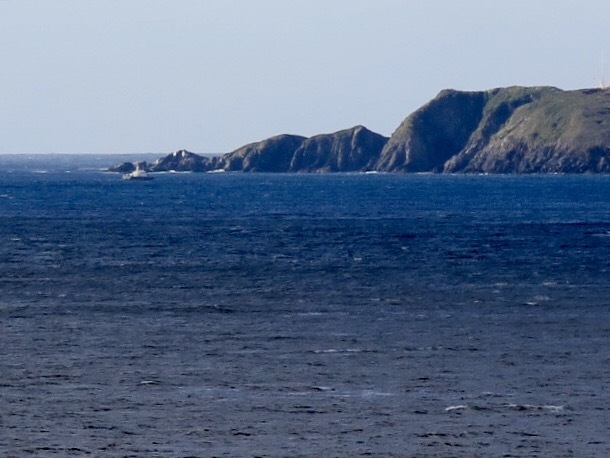 We crossed from the Atlantic Ocean back to the Pacific Ocean, then the ship headed up to the northern side of the island where it was less windy. For at least one sailor, it was a good day near the Cape. The sky was mostly sunny all day, something that happens only about 35% of the year. 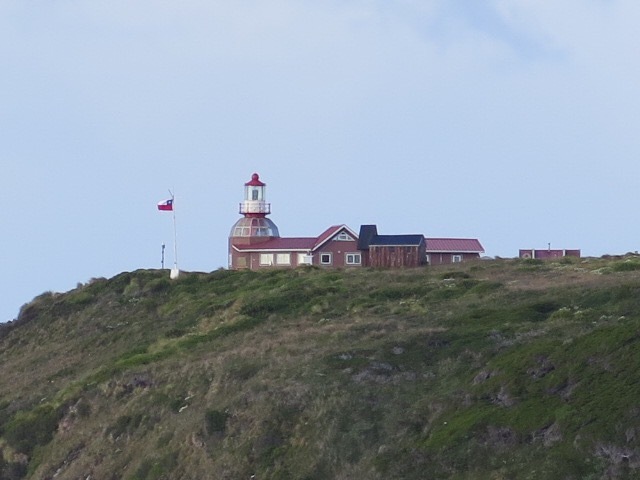 The Chilean Navy Station and Lighthouse are actually located about one mile east-northeast of Cape Horn itself. This entry was posted in Antarctica, South America Travel and tagged Albatross, Cape Horn, Captain Bligh, Tierra del Fuego. Bookmark the permalink.